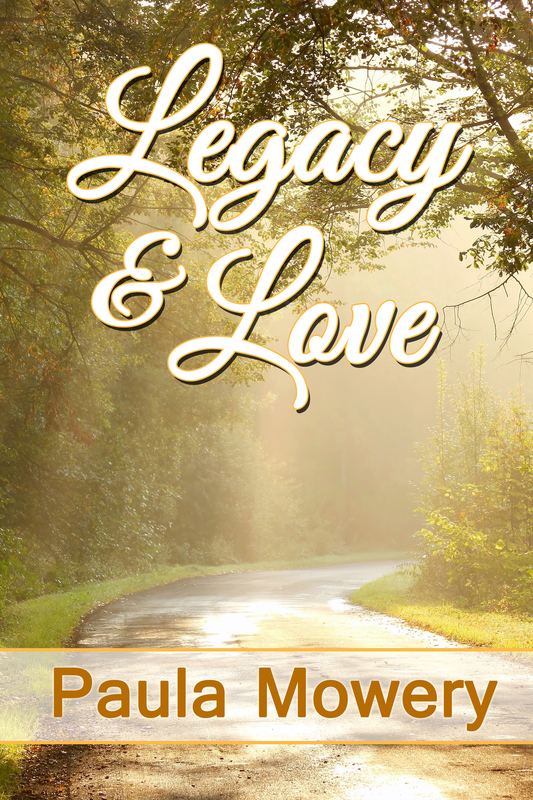 The book, Legacy and Love by Paula Mowery is not just a book. In reality it is two romance novellas put together because they have similar themes of which the title represents. The first story in the book is The Prayer Shawl. Sean Holland has dismissed the Christian faith and is living his life as a magazine reporter. Challenged by his editor to find a new story, he stumbles across Hope, a nurse at the hospital who makes prayer shawls for people who are sick. Hope learned to make the shawls from the grandmother who has since died. With a strong faith in God she knits them together with love and a lot of prayer. Sean sees a story, but when multiple crisis hit Sean’s life, he turns to Hope for help. She has to decide how much to provide given the lack of his faith in God. Inheritance is the second story in the book. Alex Lyndon has lost her job, is divorced and with little money in the bank. She discovers, on top of all that, her Granny Olivia, her only family left, is dying. She rushes to her side but is too late to talk much to her one last time. Instead her Granny has set her on a search with a cryptic message. A mysterious check shows up along with a handsome man. Chase Carson is a book editor who ended up taking over the reigns of his family’s publishing company. His one get-away is to go see Granny Olivia only this time he arrives to find she has died. He’s heard about Alex but Alex has not heard about him nor had any clue of the secret Chase kept for Granny. Together they search for clues to the inheritance left, the missing document he needs and the purpose Alex has been desitined for all along. But can love survive the miles and the secrets still held? Two grandmothers with amazing legacies that impact far more than the people they leave them to. The butterfly effect is how one action can have a ripple throught time and impact, potentially, millions. This book tells two stories of such impacts in a beautiful way. Legacy and Love is an awesome book. It will leave laughing and crying while giving you hope. There is always hope, especially if you have a godly grandma! So true Brooke! And then the questions is: what kind of legacy are we leaving behind as well. It’s often in the little faithful expressions of our faith that can have the largest impact.